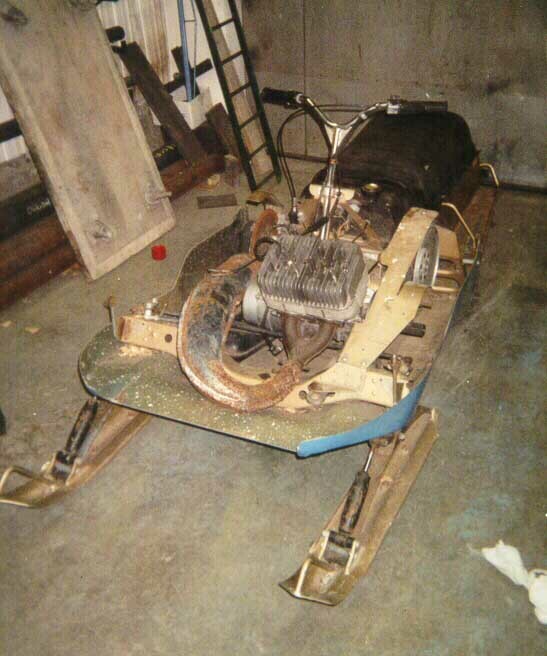 Getting Ready for the Season Opener! 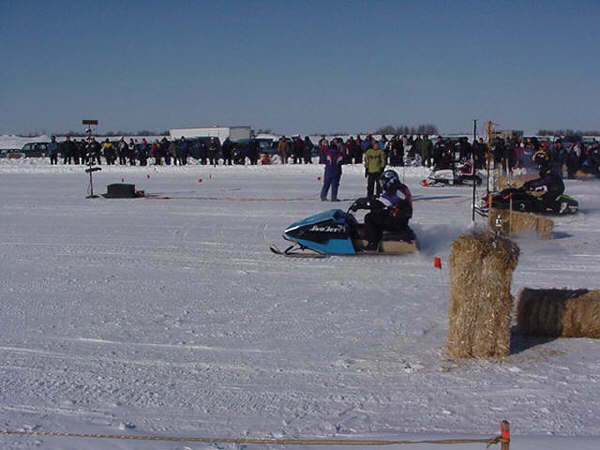 Here is a shot of Mark Competing in the 600 MOD Class. 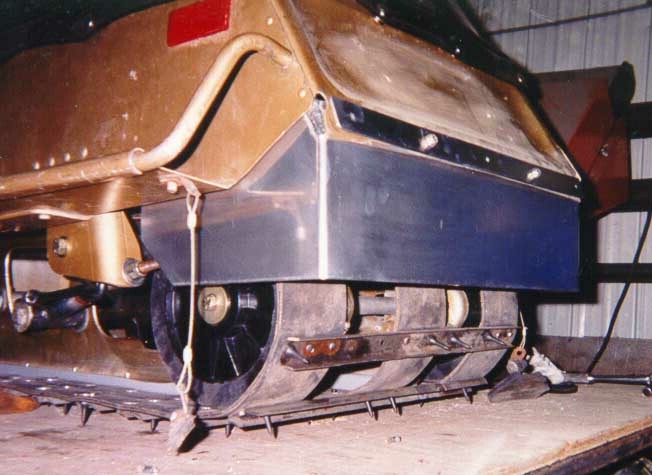 Coming down the test track. 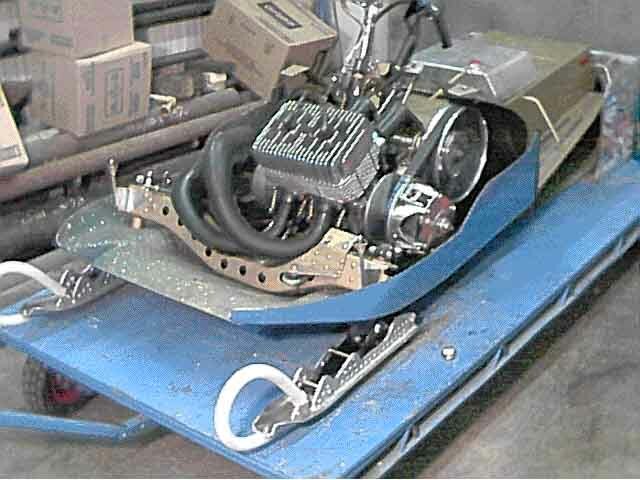 Some new homemade Skis for the ovals! 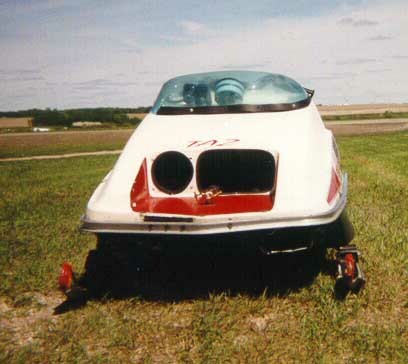 This Marks restored 74 Thunder Jet. 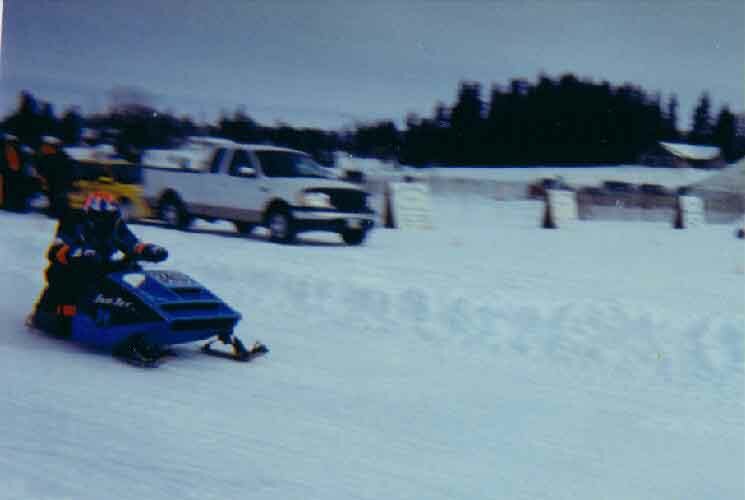 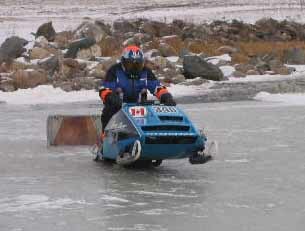 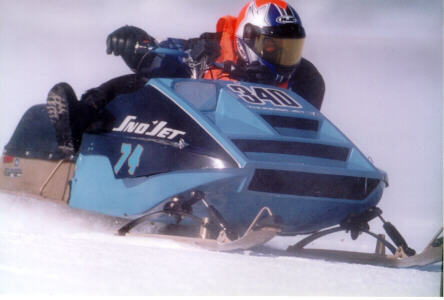 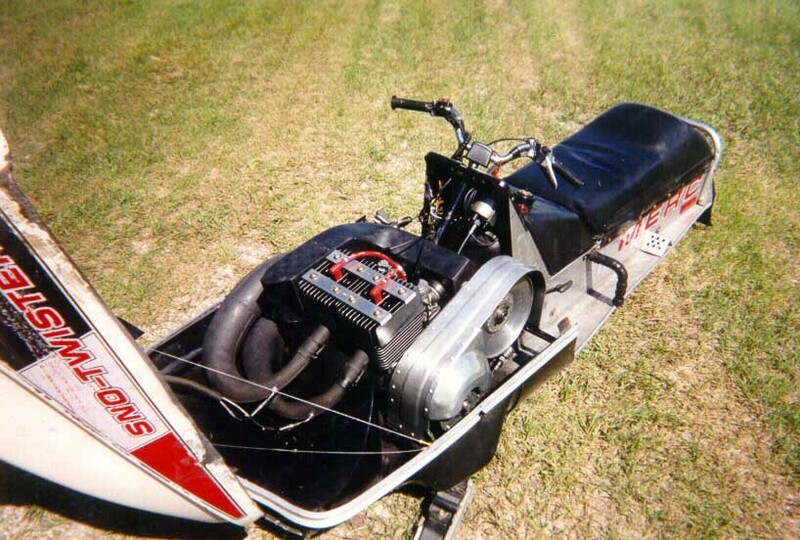 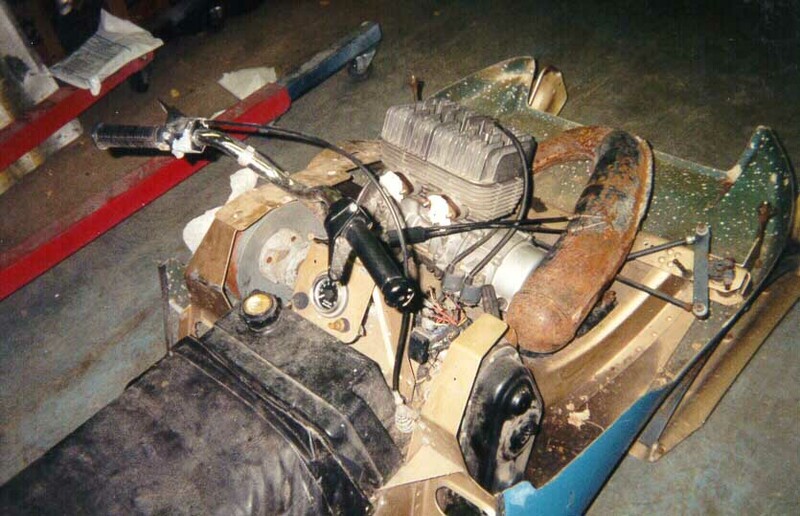 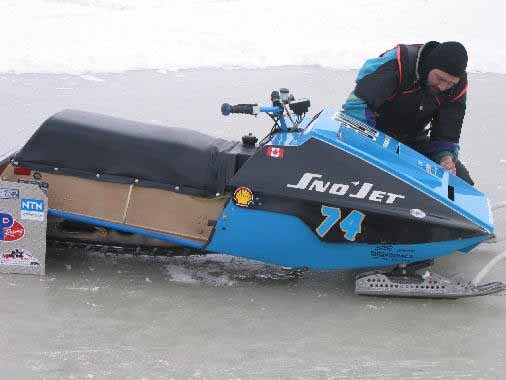 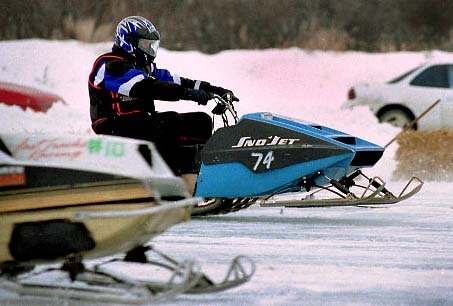 The motor was blown in 1976, Mark completely went over the whole sled, and had it together and raced it in February 2001. 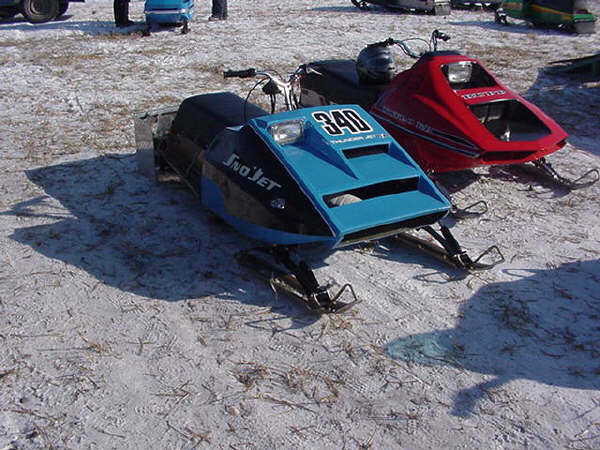 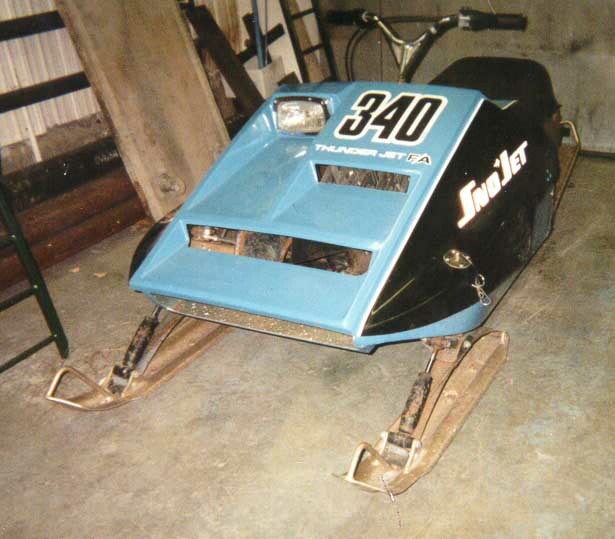 This is Marks 1975 Mercury Sno Twister 400.